After four months of PT and nearly two years of constant pain, I have finally been cleared to exercise again. Well, running is still off the table, but at least I can swim, and walk, and hike, and move around without unbearable pain or the fear of my kneecap popping out of its socket! I am doing a very careful happy dance! 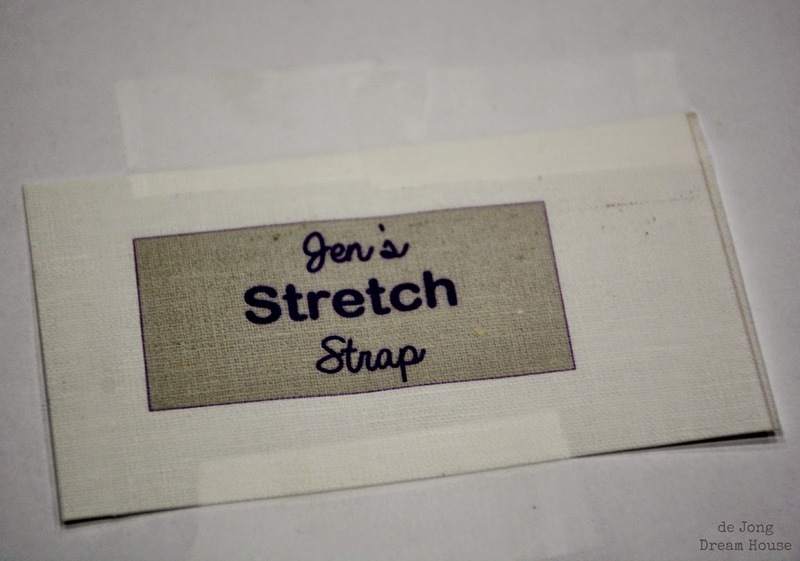 On my second to last day of PT, I was taking a close look at my stretch strap, and realized I could probably make one. The straps don't photograph particularly well, but you can see how they are used with these pictures of people much prettier than me! I played around on PowerPoint to sketch out the plan. The only thing I needed to buy was the 1" webbing, which I picked up at Joann thanks to a 50% off coupon. I'm pretty short, so I knew I wanted my strap to be slightly shorter than the one I use for PT. I bought 3 yards of webbing. If you are taller, you may want to go with 3.5 yards. 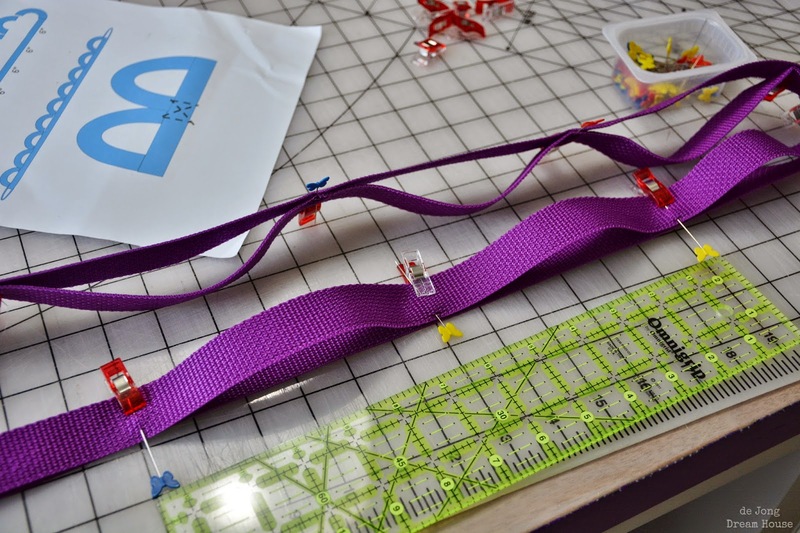 The first thing I did was fold the webbing so that the two ends met in the center above the middle point, and clip them in place with Clover Wonder Clips. 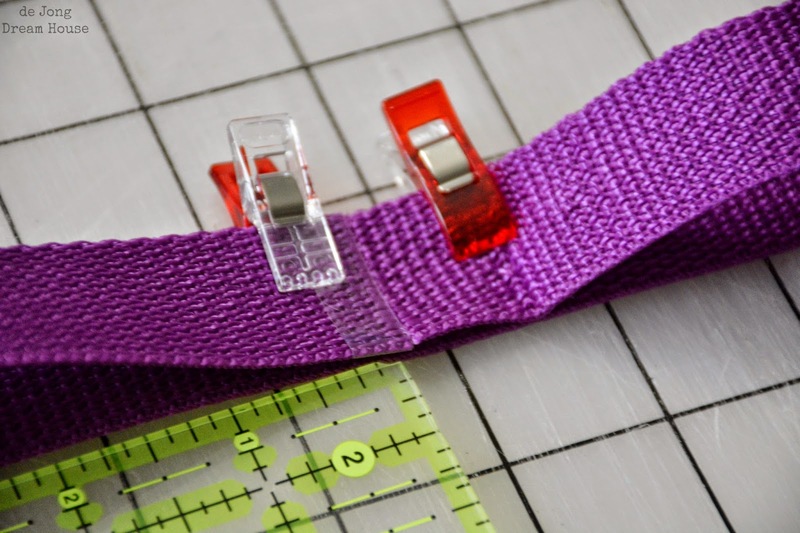 If I had to make a top ten list of sewing supplies, these clips would definitely make the cut. They make binding a quilt so much easier. It was a good thing I really examined the strap at PT because I wouldn't have guessed that the loops are not the same size on each side. This is a really the only step that takes a little concentration. 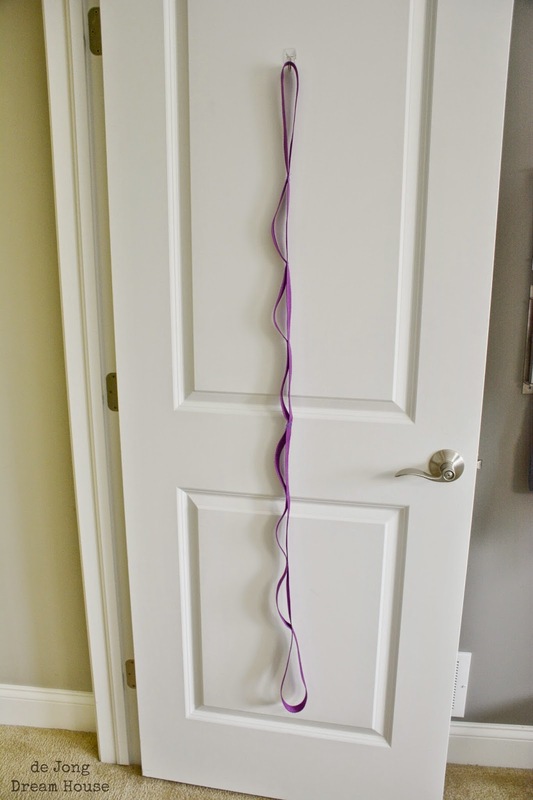 I made my loops 6.5" on one side and 6" on the other. So first I measured 6.5" from the middle, where the two ends met, and put a pin in the webbing at the 6.5" mark (or in this case, 6-3/8". I guess I bumped my ruler before taking the photo!). 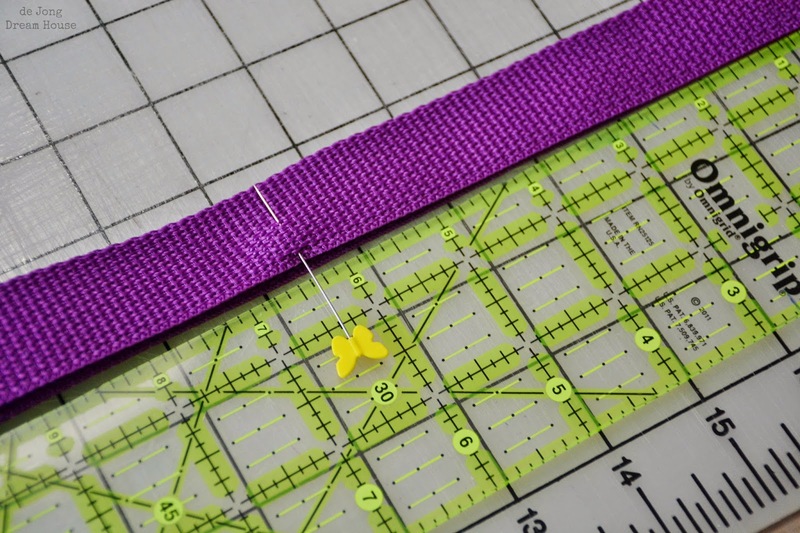 Then, slide the top part of the webbing over until the pin lined up with the 6" mark. I used a wonder clip to mark the spot. 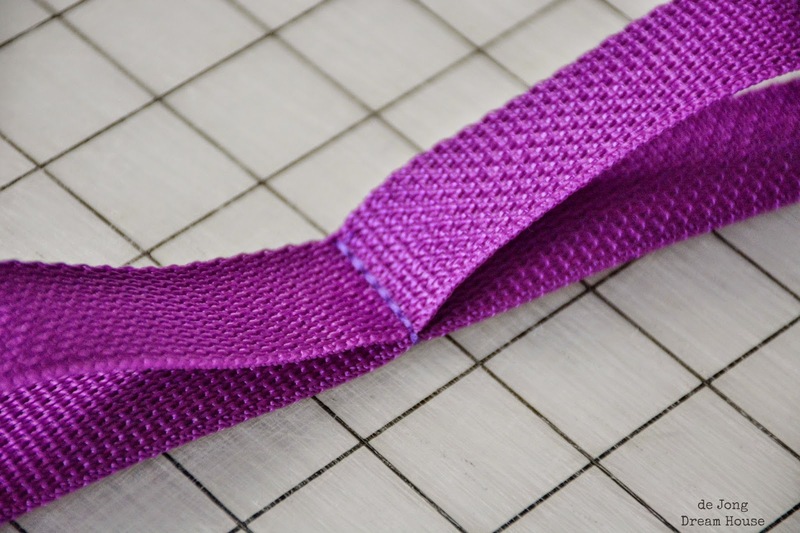 Continue making loops until you get to the end of the webbing. Then repeat on the other side. I ended up with eight loops. 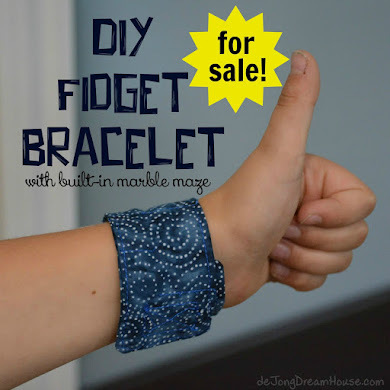 If you use 4 yards of webbing, you'll end up with more. Now the easy part. 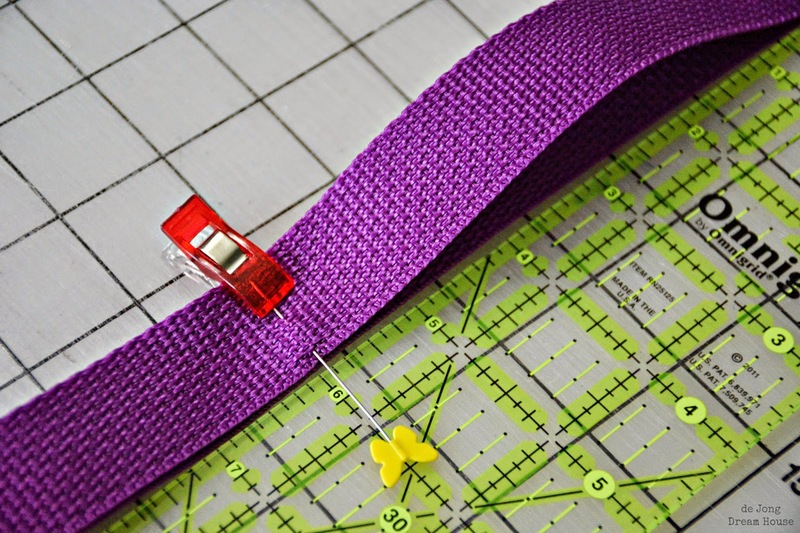 Simply sew straight lines in the marked sections. I used a double stitch and repeated three times. These seams are secure. 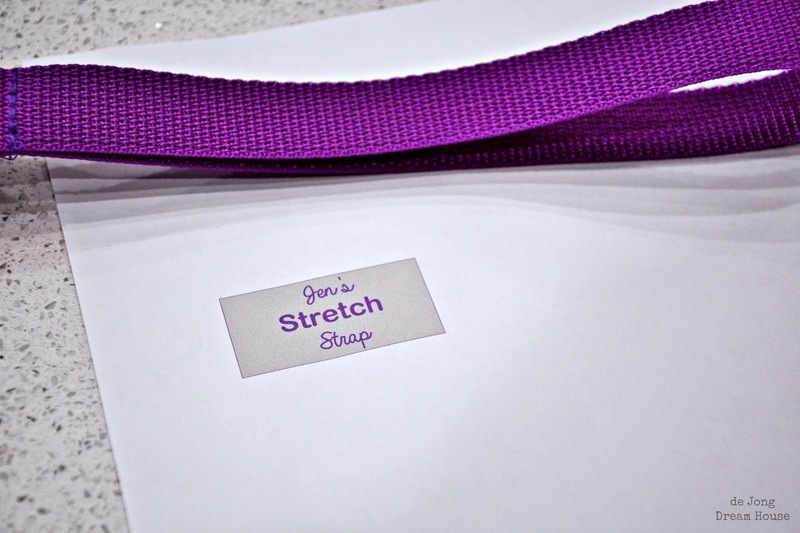 It isn't fancy, but stretch straps are a very inexpensive tool to increase flexibility. 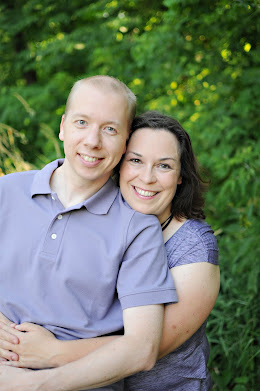 Plus, they travel well, which is nice for trips when you may not being moving around as much as your body needs. 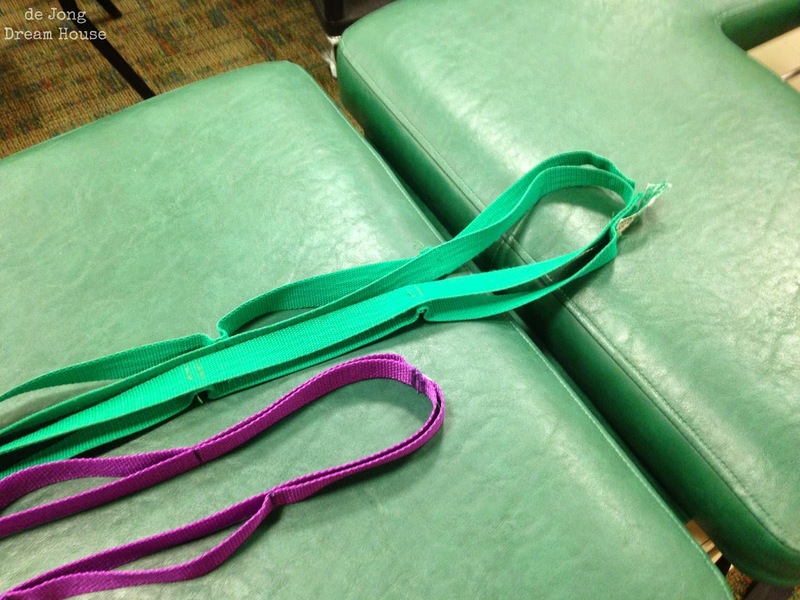 On my last day of PT, I compared my strap to the straps at the gym. As I mentioned above, my strap was about a bit smaller. As were my loops. The ones at the gym were probably 7" apart instead of 6". The other thing I noticed is that there was a label over the place where the two ends met. 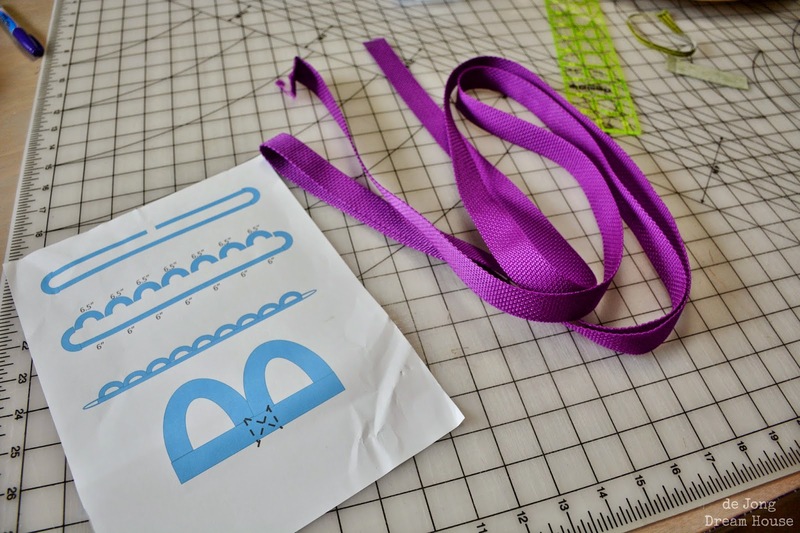 Since my meet-up point was a little messy due to me learning that a zig zag stitch didn't work particularly well, I like the idea of covering it up. 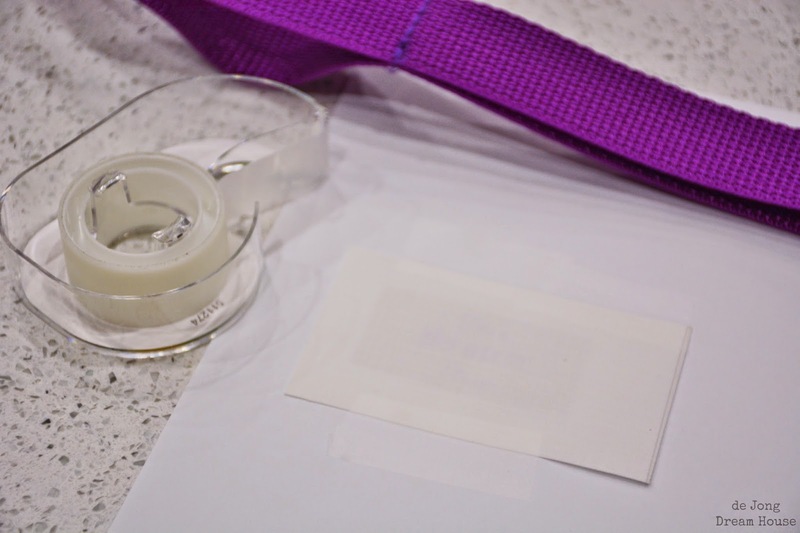 Plus, it gives me an opportunity to show off a little trick I learned for using up the little pieces of iron on printable fabric. 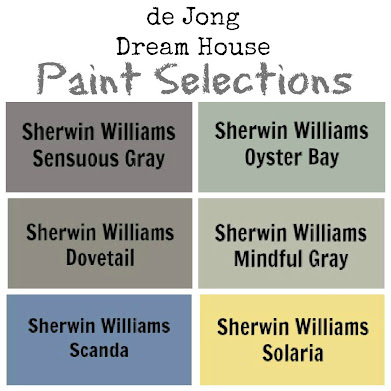 First, I design a little label, 1" by 2" and printed it. Now that I knew where on the paper my image would print, I taped my printable fabric to the paper, centering it on the printed image. Then print the image again. This time it will print on the fabric. 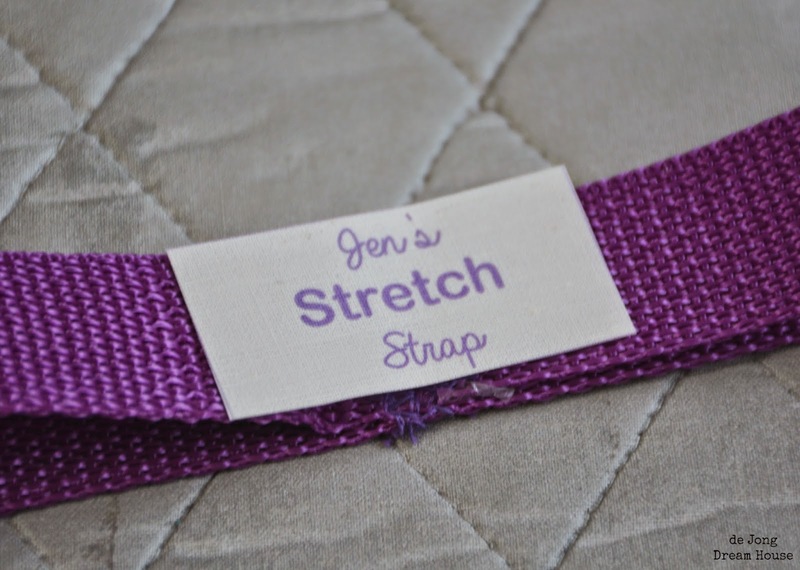 You'll definitely want to place a piece of fabric over the label because apparently hot irons and webbing don't play well together, so we'll pretend that my stretch strap still looks this pretty!